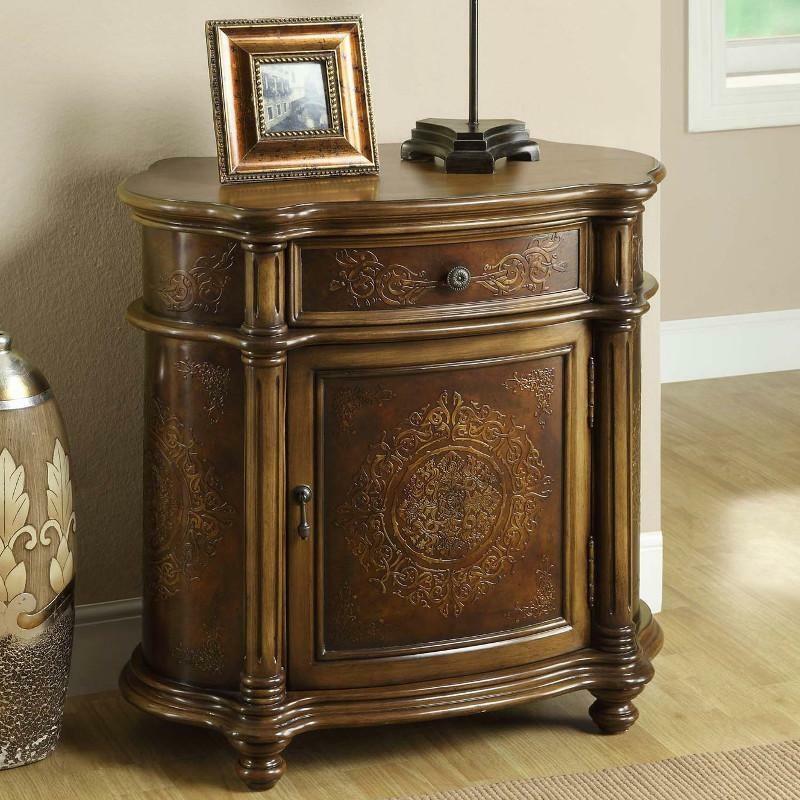 Go back in time with this 1700's style Bombay cabinet from Monarch Specialties. 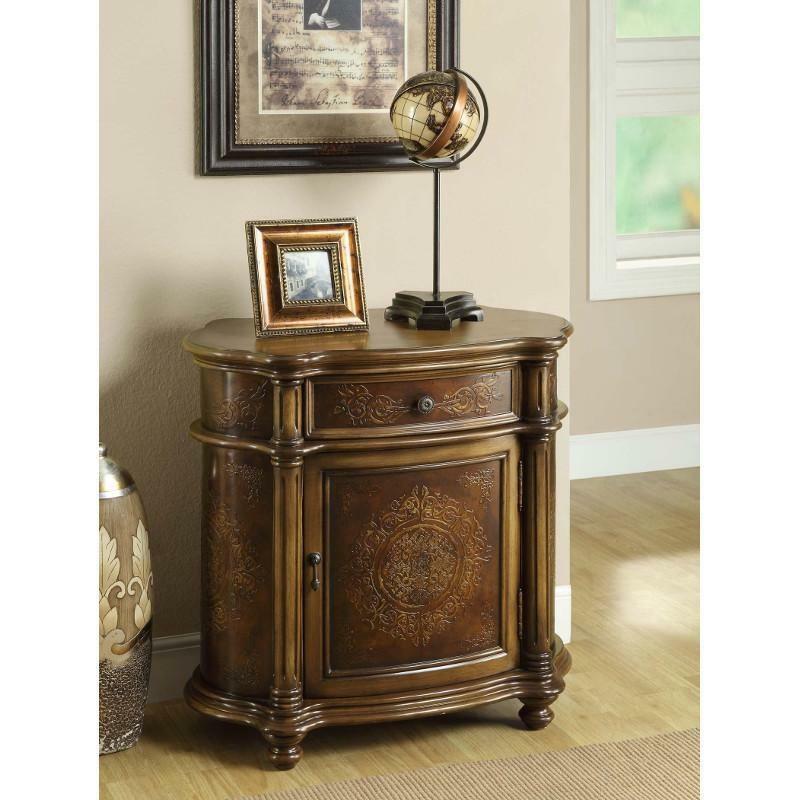 This Chest has beautiful curved lines and intricate details. It features one drawer and one cabinet door, ideal for storing books, blankets, kitchen accessories and plenty more. It has ample surface space for you to display pictures and decorative items. 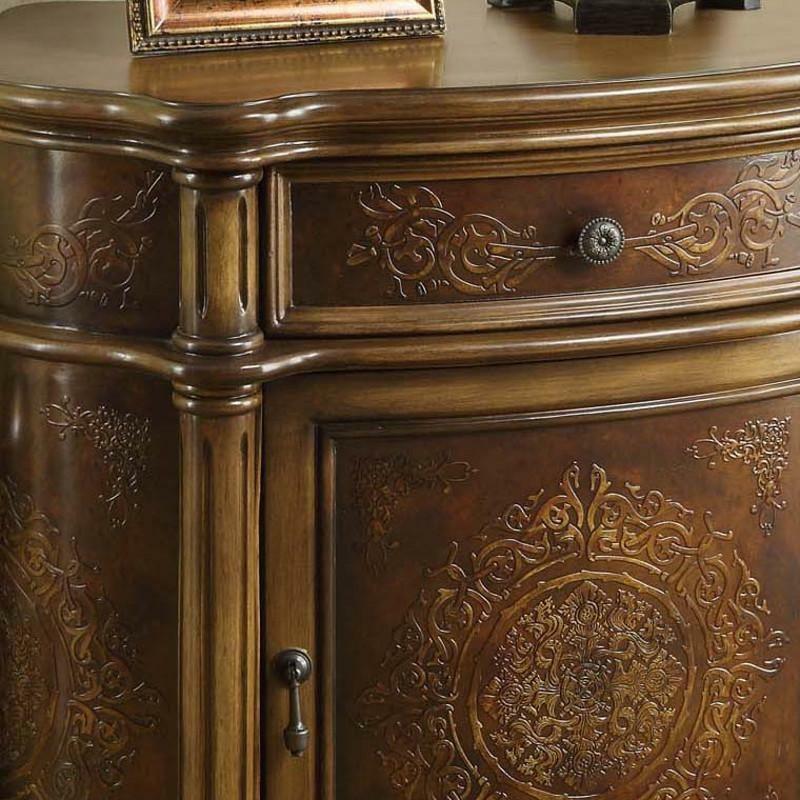 Finished in an elegant light brown, this piece is sure to make you feel like royalty.